The 30221463305 Advancer Assy.a can be ordered. View linked machines. 30221-463-305 is the manufacturercode. 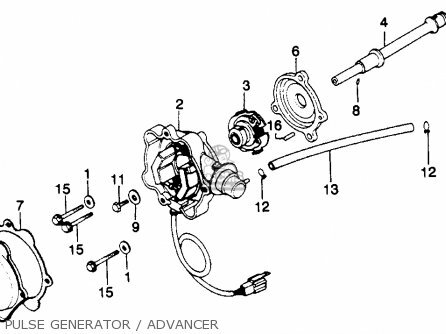 The GL1100 GOLDWING 1980 (A) USA ADVANCER ASSY.A is shown as item 3 on the schematic. If you want to discuss this ADVANCER ASSY.A, please go the forum and post a message.For questions about Honda Gl1100 Goldwing 1980 (a) Usa, please write a message in the forum.